The Yorkshire Agricultural Society has announced that there will be two Royal visitors at the Great Yorkshire Show this year (2014). The HRH The Countess of Wessex on Tuesday, and HRH The Princess Royal the following day. It will be the first time that The Countess has attended whilst The Princess Royal has been a guest on several occasions, the last time being in 2010. Bill Cowling, Honorary Show Director said: This is super news and will make it a very special show, both for us as organisers and for the thousands of visitors. 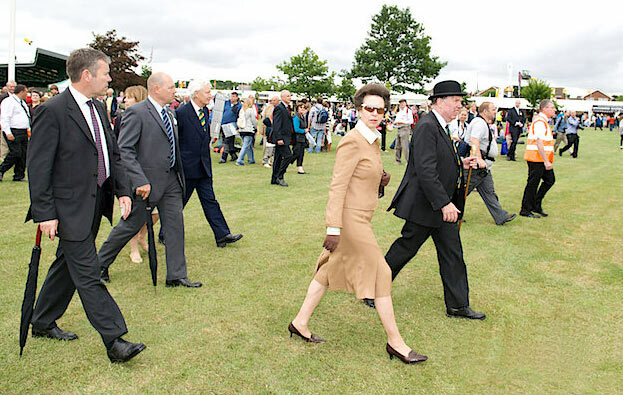 We are in the process of finalising the programmes for our Royal guests but touring the show, meeting visitors and exhibitors as well as staff and stewards will be the focus. The show takes place at the Great Yorkshire Showground on the edge of Harrogate and around 135,000 visitors are expected to attend. This will be the 156th Great Yorkshire Show. HRH The Prince of Wales is the Patron. The event is acclaimed as England’s premier agricultural show with competitive classes for around 8,000 animals, including the country’s finest cattle, sheep, horses and pigs, plus demonstrations of country skills, fashion shows, cookery theatres and includes a major exhibition of British food and drink. HRH The Prince of Wales and HRH The Duchess of Cornwall attended the Great Yorkshire in 2011 and prior to that, Her Majesty The Queen and HRH The Duke of Edinburgh visited in 2008.